Cute Kate is out for a leisurely stroll down the highway, followed by a stop at her favorite evening restaurant. 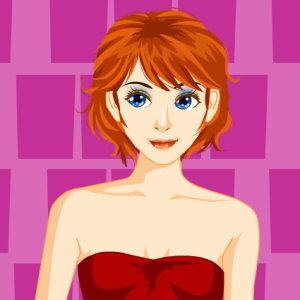 Choose her hair and makeup, then dress her to perfection with beautiful dresses, skirts, shirts, shoes and accessories. Once she’s ready, see how she looks outside… or just send her out in her underwear. How good can you make her look? Note: See below game for instructions and tips. Instructions: Use mouse to select hair styles, skin tones, eye color, lipstick, and eye shade. Click “Next” to choose from a wide variety of dresses, skirts, shirts and shoes, as well as jewelry and purses/handbags. Once you’re ready, click “Next” to see how she looks in different settings.